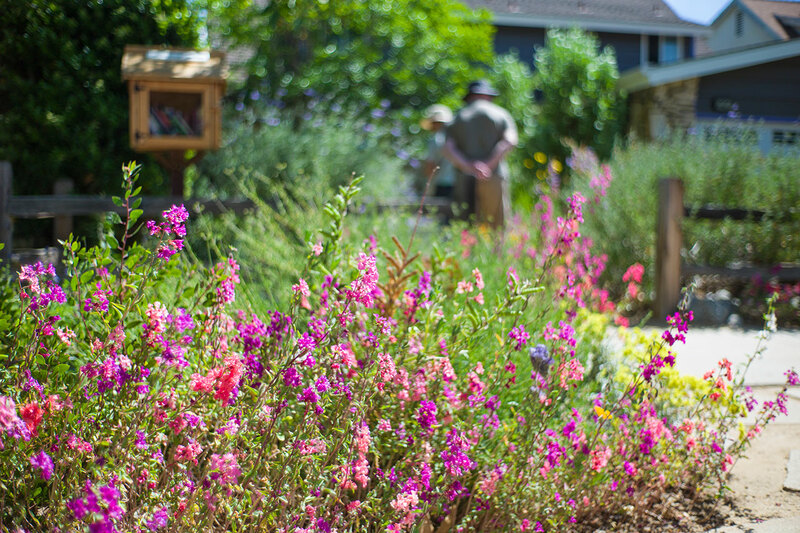 This peaceful spot welcomes people and wildlife alike. 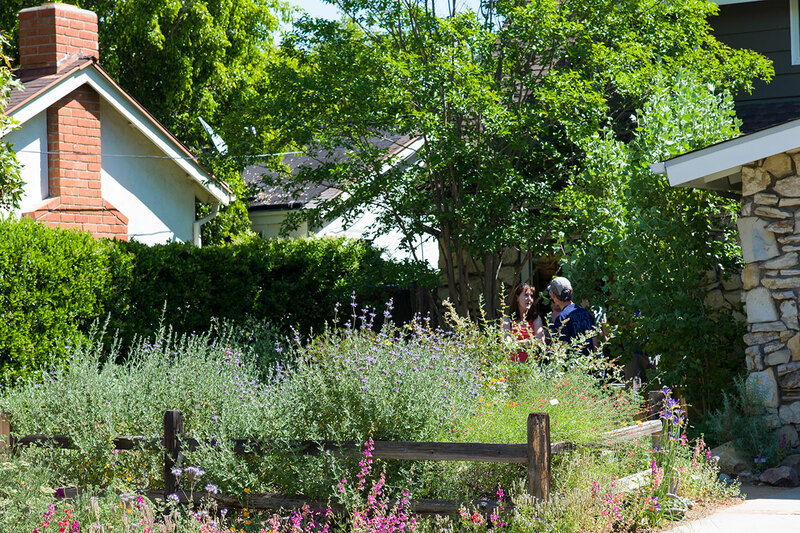 Owner-designed in 2011, the 1,800 sq. 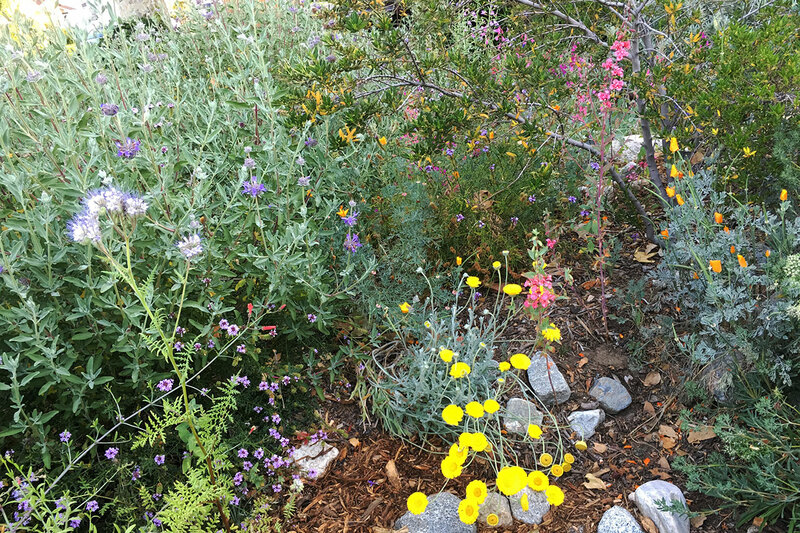 ft. front yard features aromatic and colorful natives that thrive in extreme San Fernando Valley conditions. 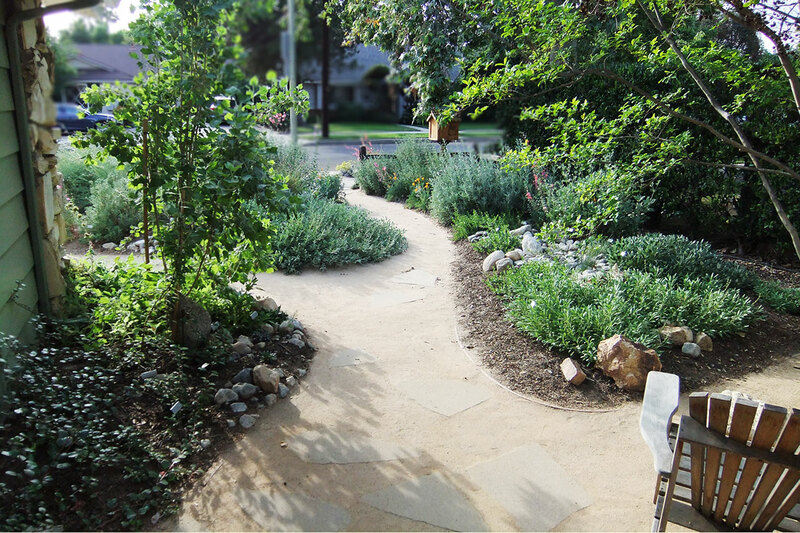 A split rail fence, decomposed granite pathway, and terraced beds provide visual structure and dimension. 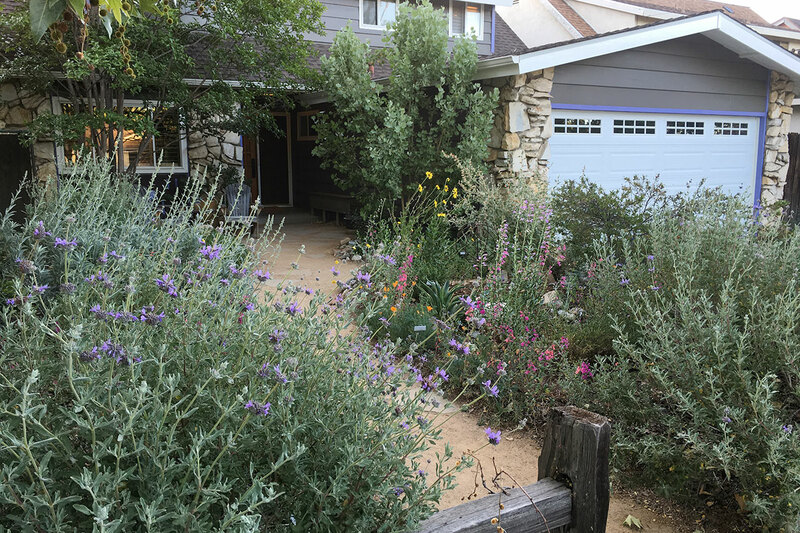 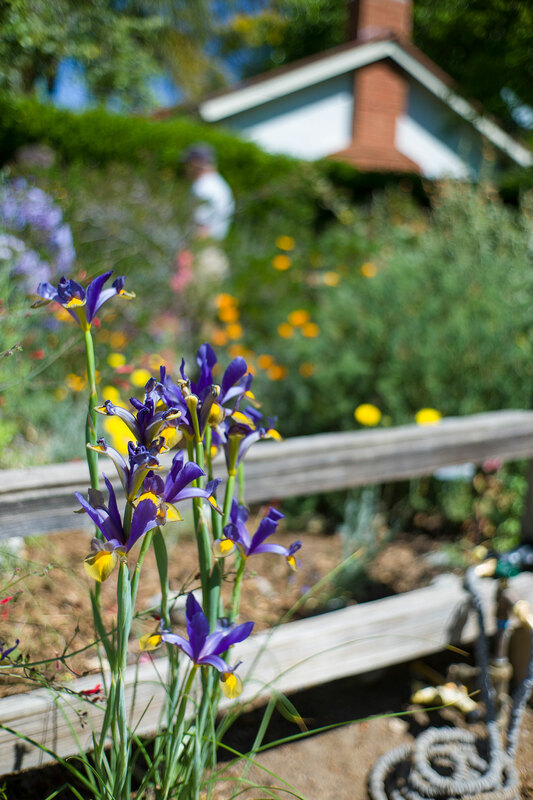 Copyright © 2015–2017 The Theodore Payne Foundation for Wild Flowers & Native Plants, Inc. Garden photos © and courtesy of the individual homeowners unless otherwise noted. 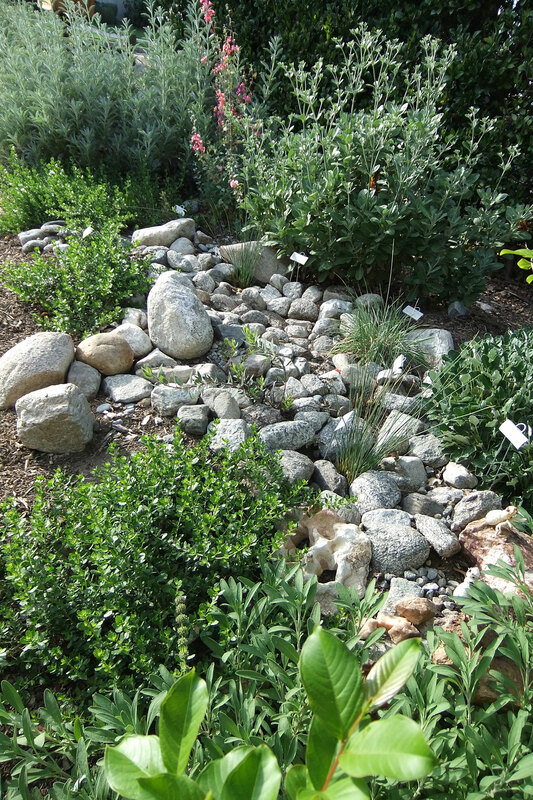 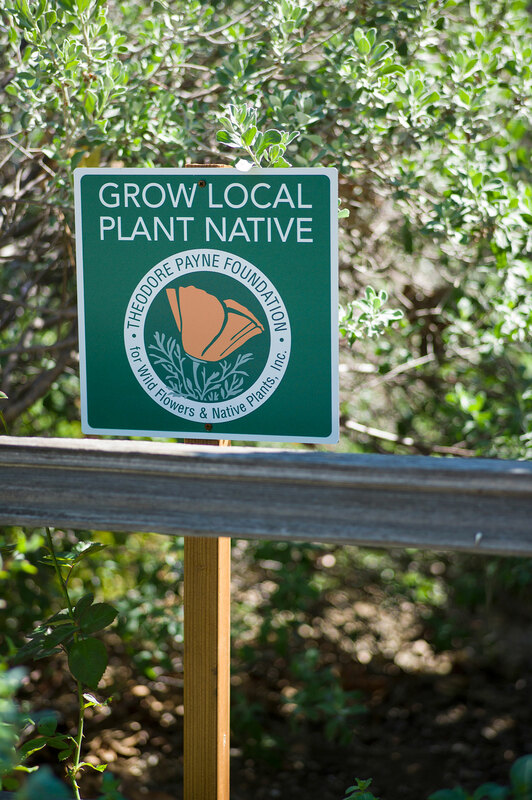 The Theodore Payne Foundation for Wild Flowers & Native Plants, Inc.